There are a great many of these flyers gracing north Point’s streets (the above-depicted one hails from Triangolo Pizzeria). 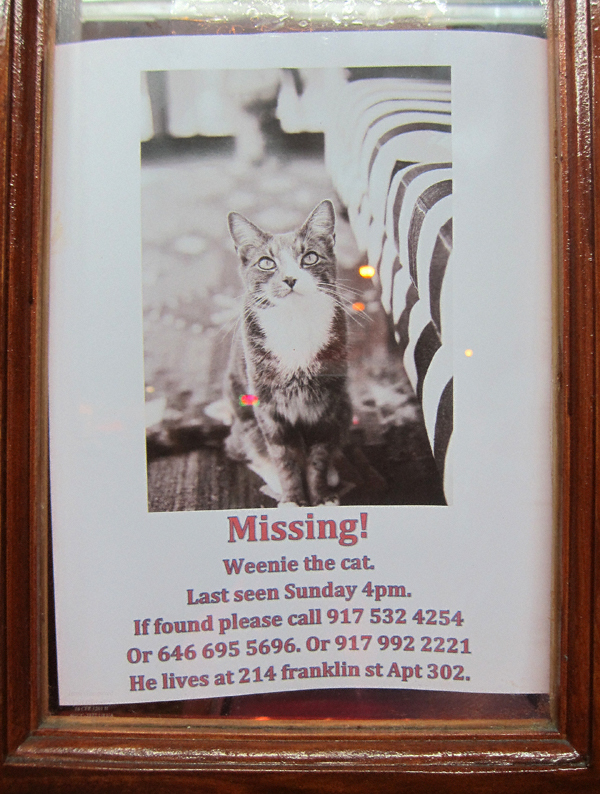 If you have seen Weenie (or know of his whereabouts) please call his person(s) at the above-listed telephone numbers. He is clearly missed. Thanks!